The sole survivor of George Ivatt's 4MT class, no. 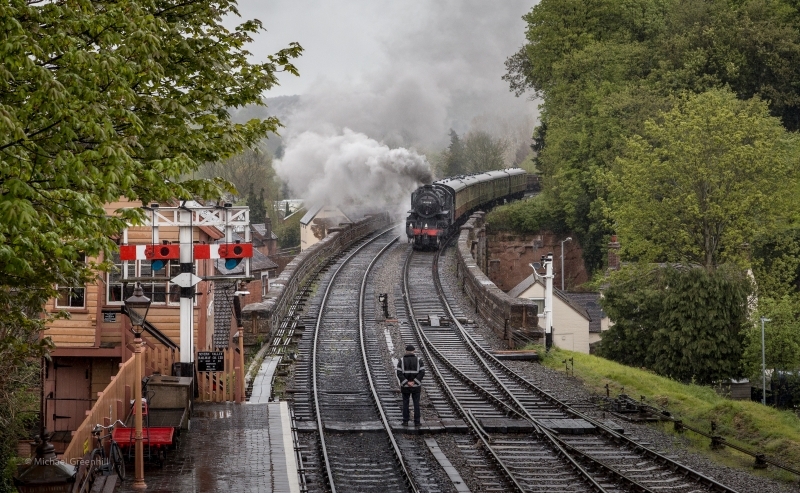 43106, approaches the signal box outside Bewdley station with a train from Bridgnorth. Amidst bucketing rain the signalman stands at the foot crossing, ready to exchange the section staffs with the crew of the 4MT.